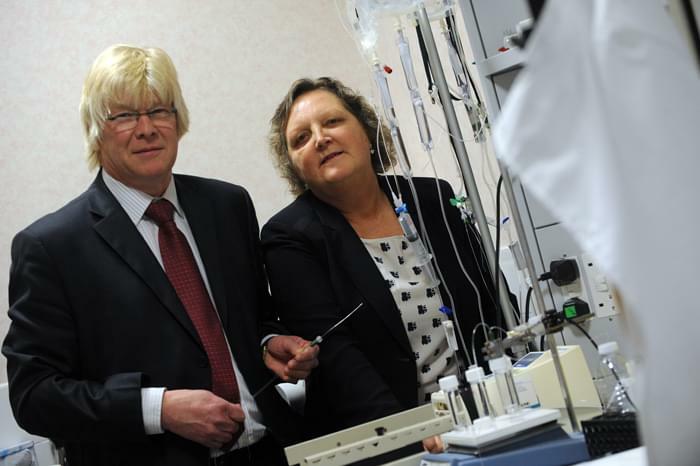 A firm, which develops innovative medical devices, is leading the way in a ground-breaking project that could revolutionise patient treatment after organ transplants. Probe Scientific Ltd, which is based at the University of Warwick Science Park, is a lead partner in a European biomarker project that has attracted a €5.2 million research grant, awarded by the European Commission. The project also includes four German universities, a university in Madrid and commercial companies in Germany, Portugal and Italy. Technology designed and created by Probe Scientific is being tested and used to provide up-to-the-minute monitoring of patients’ blood following transplants to reduce the risk of rejection. Patients are given drugs following a transplant to try to prevent rejection and health professionals need to ensure the dosage of drugs is correct. At present, this testing is done intermittently and involves removing blood samples from the patient. This new research means that the samples will be taken inside the body (in vivo) using Probe Scientific’s 0.5mm MicroEye® which extracts the biomarkers in the blood needed to test drug level without removing whole blood. It means the patient’s blood is being continually monitored and, therefore, could significantly reduce the risk that the new organ will be rejected. Neil Smith, CEO of Probe Scientific, said: “We have already proven MicroEye® in other forms of monitoring such as for glucose and we are developing applications for other small molecules too, such as lactate. “Effectively tracking the performance of drugs in situations such as post-transplantation is critical and we are confident that this project will produce very positive results. “At this stage, we are researching and testing and the technology will be trialled in a hospital in Munich. Ultimately, we want to get to a position where MicroEye® can be licensed and sold for this purpose around the world. Probe Scientific was founded by Dr Mark O’Connor in 2006 after he patented an early idea for the MicroEye®. The company moved to the University of Warwick Science Park in 2009 and now employs two full-time members of staff and a number technical and regulatory support staff as needed. It has also been in discussion with the University of Warwick medical school to see how the two can work together in the future. Karen Aston, of the University of Warwick Science Park, said: “This is absolutely fascinating work, right at the cutting-edge of medical technology.